The Brightest star(s) in the sky is Sirius without a doubt, the name Sirius, comes from the Greek language and is translated as the glowing one or bright one. And what might appear as a single star is in fact a double or even possibly triple star system according to observations made in the 1920’s. Apparently our scientists are beginning to accept just now what ancient people worldwide already knew thousands of years before us, like the Dogon tribe in Africa. According to the Dogon, the “instructor” gods descended from Sirius and brought knowledge and wisdom. What is interesting is that the Dogon knew about Sirius and its “triple” star system way before “modern” science found out its existence. 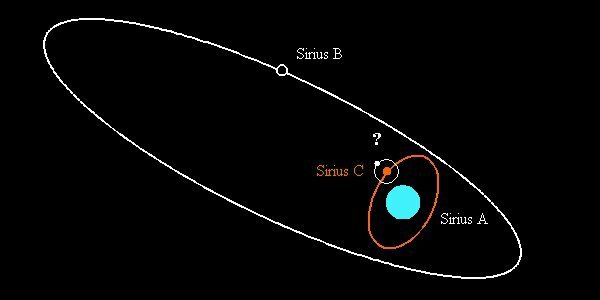 According to studies it is believed that Sirius C, the third system, is a red dwarf star a hundred times less massive than our own Sun, and a lot less brighter making it hard to see with our equipment, thus the discovery is still awaiting confirmation from the astronomic community. But hey, the Dogon knew about the “triple star system” way back and that is whats causing all the stir. Ancient Egyptians also knew Sirius, and just like Orion, they considered this star system very important as they believed that the gods came from Orion and Sirius, Osiris andIsis. The Dogon are an extremely interesting tribe, their most sacred and most ancient traditions speak of a star that is accompanied by the planetary system Sirius which they call “Po Tolo.” How did they know that? 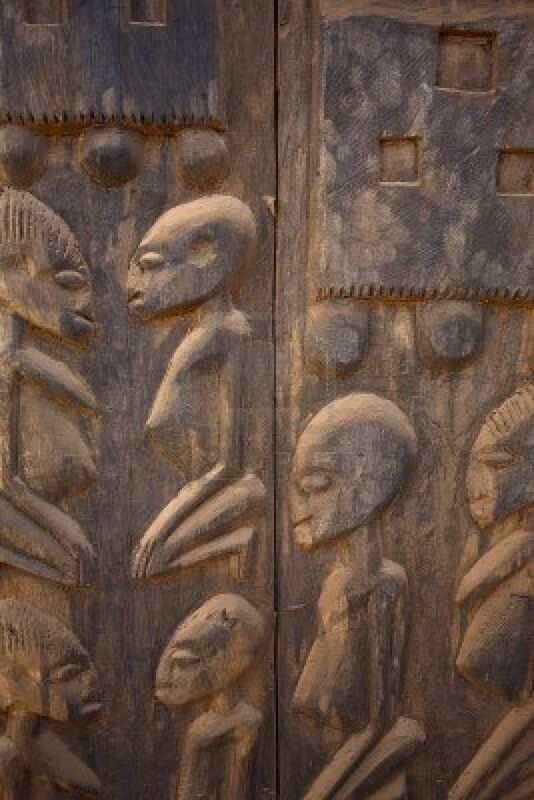 Whats even more interesting is the fact that the Dogon knew that every 50 years, the planet completed its orbit, and they knew that it was -, facts that modern-day astronomers have managed to corroborate. To make things even more interesting, the Dogon knew of the existence of a third star which they called “Emme Ya“, corresponding to the relatively newly discovered Sirius C. The Dogon believe that Emma Ya is actually four times lighter than Po Tolo even though it takes the same time to complete its orbit around Sirius A. So how did they do it? How is it possible that these incredibly intelligent people known as the Dogon tribe knew of all of these extensive astronomical details? Details that were considered pure mythological stories until they were actually corroborated by astronomy and science, and all of a sudden mythology turns into reality. Apparently we have to understand that there is a thin line between mythology and reality, it’s just a matter of interpretation. How is it possible that the Dogon had all this astronomical knowledge without the tools to observe the sky properly? The Dogon are a wonderfully mysterious tribe, their wisdom in astronomy has baffled researchers for centuries, their detailed knowledge about our Solar System is incredible. They knew about Jupiter and refered to the giant planet as “Dana Tolo“, they also knew about the four satellites and the rings, their “mythology” described the elliptical orbits of planetary systems around the sun and they even recognized the Sun as the “brother system” of Sirius. They claim that these two systems got separated to form two different star systems but with one identical origin. Just how did they manage to obtain this knowledge? Modern day astronomy knows that Sirius B is a “white dwarf“, technically a tiny star that is extremely heavy. But there is more to the Dogon actually, they know about Sirius B and it is impossible to find Sirius B in the sky with the naked eye, and they even seem to possess almost identical astronomical diagrams compared to our modern-day ones, where drawings represent the orbit of Sirius B aroundSirius A, what is baffling is the fact that they actually drew Sirius B with a smaller size and claimed the star itself consists of a material brighter than Iron which they call “Sagla.” How is it possible that with all of this knowledge, today we consider these “facts” as being pure mythological details of the Dogon? When their “mythology” seems to accurately represent what we are just finding out about our universe. Sirius was first seen in 1862, when American astronomer Alvan Clark managed to observe that Sirius was composed of “two” stars with a target of 47 cm in diameter. 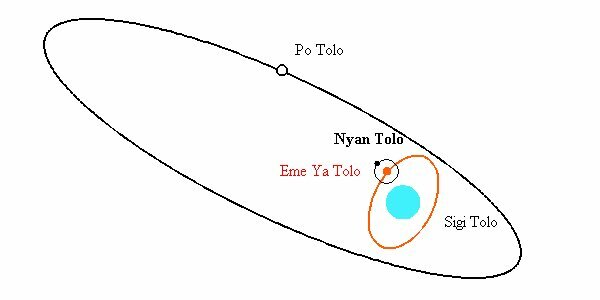 How did the ancient Dogon manage to calculate that “Po Tolo” takes around 50 years to orbit around Sirius when modern-day astronomy has calculated with a small degree of error that it actually takes50.040 years. Do you think all of this above is incredible? Well there is more to it actually… The Dogon state that “Emma Ya” is the second companion of Sirius and it even has a smaller satellite that orbits around it. The Dogon call it “Nyan Tolo“,basically translated to as: The Star of the Woman. This of course is not an isolated event. The Ancient Egyptians also had extensive knowledge about Sirius. In ancient Egypt, Sirius was referred to as Sopdet, and it is recorded in the earliest astronomical records, during the era of the Middle kingdom, the ancient Egyptians based their calendar on the heliacal rising of Sirius. For the Chibchas from modern-day Colombia, the heliacal rising of Sirius marked the beginning of the rain season. Ancient Sumerians also considered Sirius as being very important and they used it to define the timing of the agricultural cycle. Bright stars were important to the ancient Polynesians for navigation between the many islands and atolls of the Pacific Ocean. For the Māori people of New Zealand, the appearance of Sirius marked the chilly onset of winter. The Māori people called it Takurua referring to both the season and star. As we can see, there are numeros cultures and ancient civilizations who believed that Sirius was of extreme importance, but the Dogon however had the most accurate details of Sirius. According to the Dogon, all of their knowledge originated from beings that came from “Nyan Tolo” which is the satellite of “Emme Ya” in the Sirius System around 3000 B.C., these beings are referred to as “Nommos” and they arrived to the Dogon in a “Red Ark“, as these beings landed, there was fire and smoke, roaring sounds that resembled huge rocks crashing into each other.